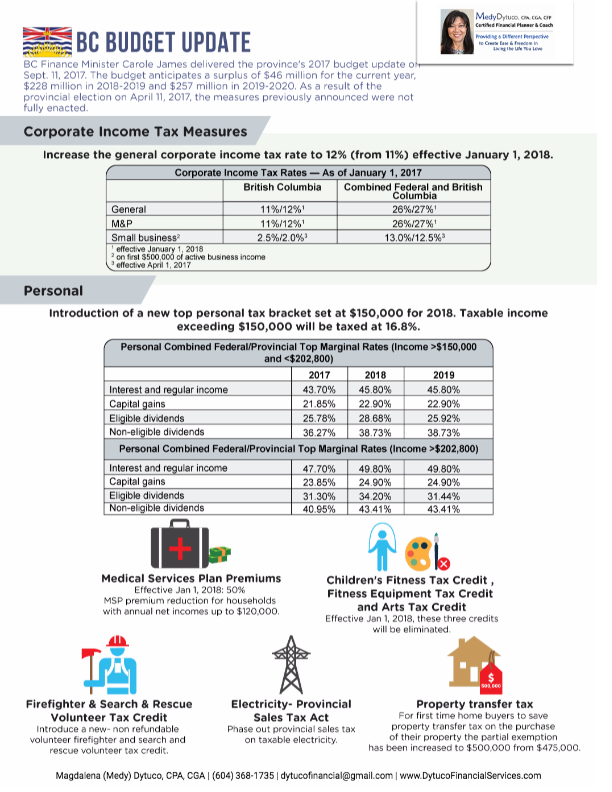 BC Finance Minister Carole James delivered the province’s 2017 budget update on Sept. 11, 2017. The budget anticipates a surplus of $46 million for the current year, $228 million in 2018-2019 and $257 million in 2019-2020. As a result of the provincial election on April 11, 2017, the measures previously announced were not fully enacted. 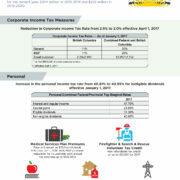 Effective January 1, 2018, there will be an increase to the general corporate income tax rate from 11% to 12%. 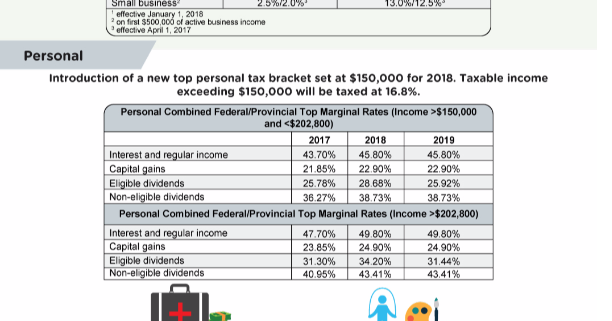 Effective for 2017, there is an introduction of a new top personal tax bracket set at $150,000 for 2018. 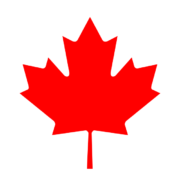 Taxable income exceeding $150,000 will be taxed at 16.8%. Effective Jan 1, 2018: 50% MSP premium reduction for households with annual net incomes up to $120,000. Introduce a new- non refundable volunteer firefighter and search and rescue volunteer tax credit. Phase out provincial sales tax on taxable electricity. For first time home buyers to save property transfer tax on the purchase of their property the partial exemption has been increased to $500,000 from $475,000. To learn how these changes will affect you, please don’t hesitate to contact us. There is Nothing so Certain as Death and Taxes RRSP Deadline is March 1, 2018. How much tax can you save?